The units in the Arzew industrial area discharge significant quantities of liquid (industrial) discharges containing solvents, heavy metals, suspended solids and other organic loads that are discharged into the sewerage system and/or the receiving environment without adequate treatment. The use of powdered activated carbon (CAP) makes it possible to considerably reduce the concentrations of organic pollutants contained in the effluents by its optimum adsorption capacity. The aim of this investigation is to study the kinetics of adsorption of CAP, the adsorption capacity, the fixation of organic solvents on a micro porous medium, to look for the optimal concentrations of CAP to be introduced into the biological reactors in order to adsorb and minimize the levels of organic solvents miscible in liquid discharges and to reduce pollution parameters, including total SM (Suspended Matte), COD, BOD5, hydrocarbon. Our results showed us that CAP activated carbon powder has a better efficiency to reduce the pollutant loads in liquid discharges. 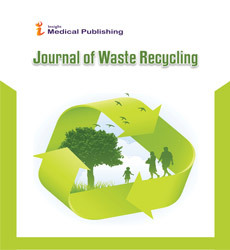 In conclusion, CODs of 2800 mg/l for concentrations of 300 mg/l in furfural and MEC-toluene may be reduced to 70-fold with added 20 to 50 mg of CAP, which reflects the importance of use of activated carbon in the treatment of industrial liquid discharges, including STEP treatment plants of petroleum refining units.